In the UK, US, and many other countries, the Civil Service is the sector of government staffed by career bureaucrats rather than political appointees. But in Israel, civil service is something else entirely. You've heard of Sherut Leumi, National Service, the program by which young women (and sometimes men) who are not serving in the IDF instead serve the country in other ways, such as by working at hospitals or certain types of non-profit institutions. We have an outstanding young man doing his Sherut Leumi at the Biblical Museum of Natural History, and we have a young woman signed up for next year. But we recently discovered an additional framework: Sherut Ezrachi, Civil (or perhaps better translated Civilian) Service. 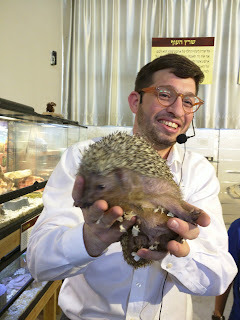 These are the kinds of groups for which we need a Sherut Ezrachi person! 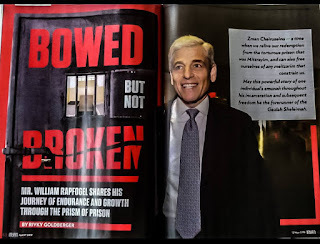 But what was particularly interesting was when we asked him if we could advertise in the local charedi media to find someone suitable. The answer was no. The person explained that Sherut Ezrachi is a very sensitive topic; if they try (or if it even looks like they are trying) to attract people who would otherwise remain in yeshivah, then the charedi leadership will come out against it. There are some anti-Zionists who would denounce Sherut Ezrachi as being a nefarious scheme of the treife medinah. And there are doubtless some hyper-Zionists who would denounce Sherut Ezrachi as being wrong due to it being unfair that it is part of a system that enables Charedim to avoid army so easily. However, we do not live in a perfect world. Given the realities of society, Sherut Ezrachi appears to be an admirable way to help young charedi men serve the country and integrate into the workforce. 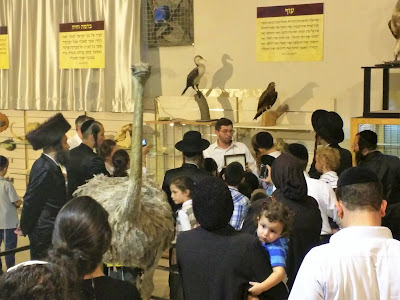 So if you know of any young charedi men who would like to do Sherut Ezrachi at The Biblical Museum of Natural History, teaching people about the amazing relationship between Torah and the animal kingdom, then please send them our way. But not if they would otherwise stay in yeshivah! Terrible economics on the government's behalf. The best thing they can do for the country if not learning or in IDF is to greedily make money. That's the point. After a couple of years of service they're supposed to go out and get a job. I think "civic service" or "civilian service" is a better translation than "civil service". The Ministry of Aliyah and Immigrant Absorption translates it as "civilian service". This is instead of army service, which is usually required to legally enter the job market. I think it is about time that we moved away from National Military Service as the only way to contribute. We could manage with a more professional army. Whether or not guiding in the museum should be considered equivalent to portering in hospital, working in fire station or police force, is an open question. The Solution to the Problem of Chareidi Poverty!